Wait. Fear is convenient? You might be thinking, "no way!" 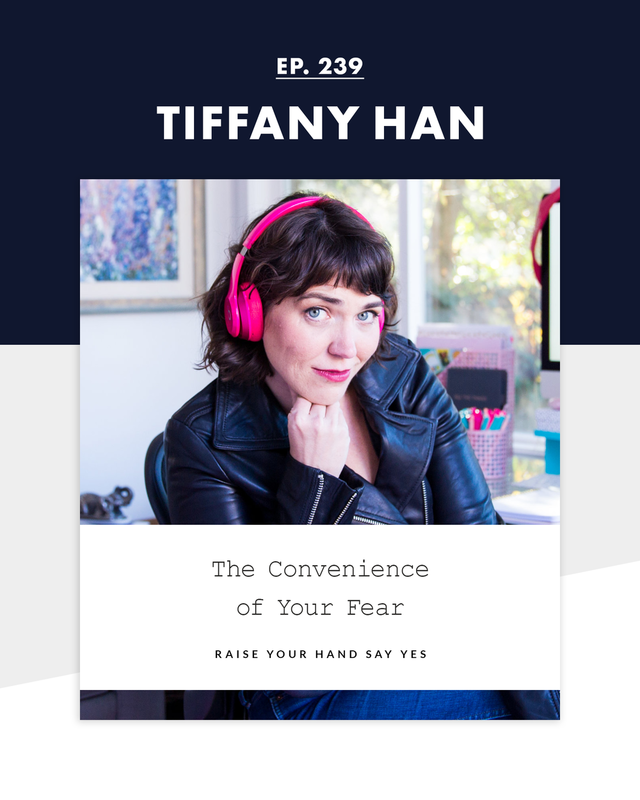 but on this week's episode, I'm going into how our habitual fear responses are getting in our way and what we can do instead. SO MUCH of raising your hand and saying yes starts with looking at the individual moments of your everyday life. (Even though it's way more fun to daydream about those Big Things the future holds.) This week, I'll show you how those two are woven together and help get you on your path to ease, freedom, and flow! You'll also hear from Elizabeth Simms, one of my current Raise Your Hand Say Yes students, on what my year-long course has done for her and her life! And there's still time to sign up for the class—we start April 1 and the first 50 registrants receive a bonus 1-on-1 session with me!